HTC is only 4 days away from officially unveiling the Thunderbolt 4G, which is the same device you’ve already seen thanks to our 12 picture gallery. That hasn’t stopped them from running through their series of “controlled” leaks though, like the ones picture above. They have been spending some of those billions in earnings on advertising across a variety of tech blogs in preparation for the launch, only as we get closer, they are beginning to reveal more details. Not that we weren’t already expecting “HD entertainment”, “8 MP photos”, and the ability to “video chat”, but it’s nice to see it confirmed. 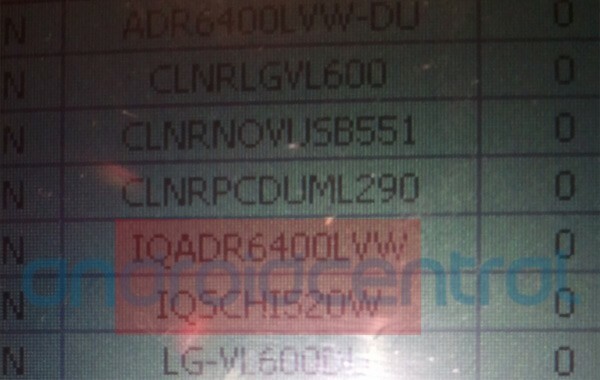 Oh, and that model number we broke the word on, ADR6400LVW, it’s now appearing in a variety of Verizon systems which Android Central got a hold of below. Maybe this phone will hit store shelves before February? 4 days from now. You have got to be excited, right?